A native of Baytown, Texas, Norman Cooling graduated with distinction from the U.S. Naval Academy in 1986. A Burke and Cox Scholar, he completed the Russian Language Program at Norwich University and served briefly as a language instructor at the Naval Academy before completing The Basic School with Honors in 1987. Upon completion of the Infantry Officer Course, Second Lieutenant Cooling reported for duty with 2d Battalion 4th Marines at Camp Lejeune, North Carolina. Following assignments as a rifle platoon commander, anti-armor platoon commander and company executive officer and completion of a Landing Force Sixth Fleet Mediterranean Deployment, he was reassigned to 2d Light Armored Infantry (LAI) Battalion in 1989. With 2d LAI Battalion, he served as a Light Armored Platoon Commander during Operation JUST CAUSE in Panama, and as a detachment commander with Battalion Landing Team 3/8 during a second Mediterranean deployment. In April 1991, Captain Cooling reported for duty as the Commanding Officer, Light Armored Vehicle School, School of Infantry (West), Camp Pendleton, California. He later assumed duties as the S-3 Operations Officer for the school. In March 1994, he reported to the Armor Officer Advanced Course at Fort Knox, Kentucky. Later that year, he returned to the operating forces at Camp Lejeune to command Company A, 2d Light Armored Reconnaissance Battalion. In May 1996, Major Cooling reported to Headquarters Marine Corps, Washington DC for duty as a the Deputy Marine Liaison Officer to the U.S. House of Representatives. From 1998 to 1999, he served on the 31st Commandant of the Marine Corps’ Staff Group. Following this assignment, he attended the Marine Corps Command and Staff College in Quantico, Virginia, where he graduated with distinction while earning a Masters Degree in Military Studies. In June 2000, he reported for duty as the Director, Joint Operations Center, Special Operations Command Europe, Headquartered in Stuttgart, Germany. The following year, Major Cooling was reassigned to Supreme Headquarters Allied Powers Europe in Mons, Belgium for duty as a Special Assistant to the Supreme Allied Commander (SACEUR). He concluded this tour as the Executive Assistant to the SACEUR. Lieutenant Colonel Cooling reported for duty with the 1st Marine Division at Camp Pendleton in November 2002. 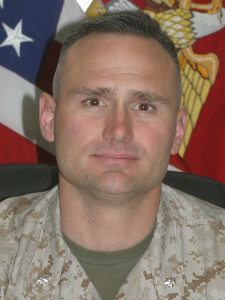 Deploying for Operation IRAQI FREEDOM I, he served successively as the Information Management Officer; Deputy Assistant Chief of Staff, G-3, and Assistant Chief of Staff, G-3. Upon return from Iraq in September 2003, he reported to the 5th Marine Regiment for duty as the Executive Officer. He reported to Marine Corps Base Kaneohe Bay, Hawaii and assumed his assignment as the Commanding Officer, 3rd Battalion, 3rd Marines in June of 2004 and deployed the battalion in support of Operation ENDURING FREEDOM in Afghanistan from October 2004 to June 2005. From March to October 2006, he again deployed the battalion, in support of Operation IRAQI FREEDOM 5. 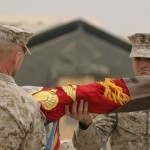 Lieutenant Colonel Cooling relinquished command of 3rd Battalion 3rd Marines in October 2006. In August 2007, Lieutenant Colonel Cooling was promoted to the rank of Colonel. He then attended the U.S. Naval War College from 2007 to 2008, earning a Master of Arts in National Security and Strategic Studies and graduating with Honors. 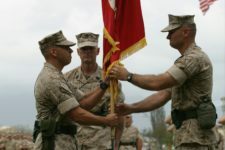 From June 2008 to June 2010, Colonel Cooling was the commanding officer of the Marine Corps Mountain Warfare Training Center in Bridgeport, California. 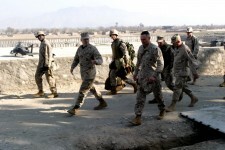 In July 2010, he reported to Camp Lejeune and assumed duties as the Assistant Chief of Staff, G-3 Operations, II Marine Expeditionary Force Forward and deployed in that capacity to Helmand Province, Afghanistan, from March 2011 to March 2012. 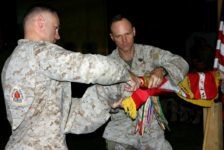 Upon return from deployment, he served as the Chief of Staff, II Marine Expeditionary Force until June 2014, and assumed his current duties as Deputy Commander, U.S. Marine Corps Forces Europe and Africa headquartered in Stuttgart, Germany the following month. Colonel Cooling’s personal awards include the Legion of Merit with two gold stars in lieu of second and third awards, the Bronze Star Medal with gold star, the Defense Meritorious Service Medal, the Meritorious Service Medal, the Joint Service Commendation Medal, the Navy-Marine Corps Commendation Medal, the Navy-Marine Corps Achievement Medal with gold star and the Combat Action Ribbon with gold star. LtCol. Norm Cooling (right). 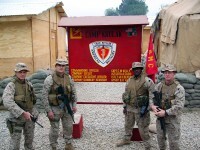 Camp Eggers, Afghanistan. December 2004.